The Dog Star and I were on our daily walk yesterday, around a local wood which borders fields, getting absolutely soaked in the rain when I heard one of my favourite sounds. That tiny wobbly high pitched bleat followed by a rumbling baritone mumble. Sirius and I peered over the hedge and there they were. Mummies and babies calling to each other. "Mummy, are you there" "Yes, I am here". Proud ewes and their day or so old lambs. It always surprises me how early they come. I don't expect them until spring. Sirius wanted to get in there and sniff them and play with them and chase them more than anything in the known world so I steered her away and we carried on with our walk. I could still hear them in the distance though. Calling and responding. Love contained in two utterly unique sounds. Sounds that mean nothing at all to one creature and mean all the world to another. Such beautiful and special sounds. I want to hear my own babies special sound, the one that is just for me. I want to hear my baby call me and I want so badly to respond. It is amazing huh. I read that bats recognize each other's particular offspring in the middle of a huge cave. When I told my mom about it, in awe, she was not surprised at all, her response was: "Just go to a school and see how every mom recognizes and respònds only to her own child",. I hope you'll hear your baby call soon. Also, lambs are the cutest animal ever. Though I do think I like goats even better. When I taught Kindergarten and we shared outdoor play with another class I used to think my children were all more noisy than the other class until I realised I had just tuned into their voices so I heard them more clearly. It is so strange. Deep down I know I will hear my baby soon. I am just so done with waiting. Wow, what a beautiful post. I have tears just thinking about that. 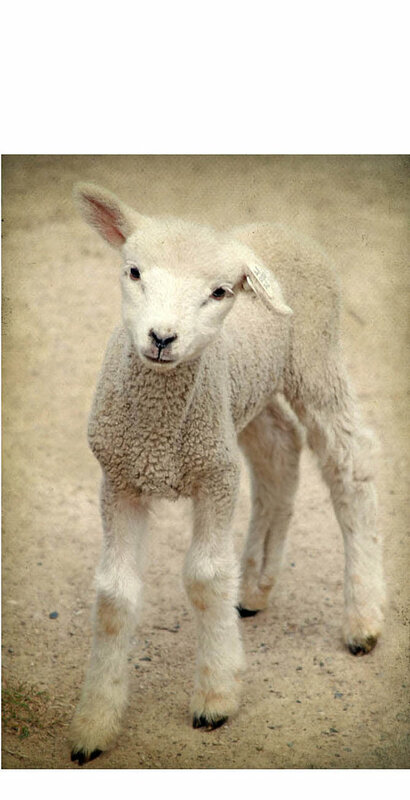 Hoping and praying that you will get your "lamb" soon! Oh, what a lovely, moving post. I want you to hear your baby's call too, darling. I want it so much for you! Love this! Just what we all want to hear. One word: ohhh. I sincerely hope your wish comes true very soon. Absolutely. I think we all crave that mom and baby bond that you described so eloquently! This is beautiful! I do so hope you'll be hearing that sound very soon...As I hope for all of us! I thought this post was utterly beautiful. Thank you for sharing.